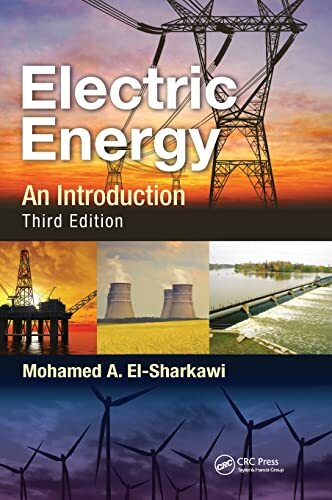 [PDF] Electric Energy: An Introduction, Third Edition (Power Electronics and Applications Series) | Free eBooks Download - EBOOKEE! Description: The search for renewable energy and smart grids, the societal impact of blackouts, and the environmental impact of generating electricity, along with the new ABET criteria, continue to drive a renewed interest in electric energy as a core subject. Keeping pace with these changes, Electric Energy: An Introduction, Third Edition restructures the traditional introductory electric energy course to better meet the needs of electrical and mechanical engineering students. Now in color, this third edition of a bestselling textbook gives students a wider view of electric energy, without sacrificing depth. Coverage includes energy resources, renewable energy, power plants and their environmental impacts, electric safety, power quality, power market, blackouts, and future power systems. The book also makes the traditional topics of electromechanical conversion, transformers, power electronics, and three-phase systems more relevant to students. Throughout, it emphasizes issues that engineers encounter in their daily work, with numerous examples drawn from real systems and real data. Whatâ€™s New in This Edition Color illustrations Substation and distribution equipment Updated data on energy resources Expanded coverage of power plants Expanded material on renewable energy Expanded material on electric safety Three-phase system and pulse width modulation for DC/AC converters Induction generator More information on smart grids Additional problems and solutions Combining the fundamentals of traditional energy conversion with contemporary topics in electric energy, this accessible textbook gives students the broad background they need to meet future challenges. No comments for "[PDF] Electric Energy: An Introduction, Third Edition (Power Electronics and Applications Series)".